2. They make you a special account just for your library and give you a widget to add to your library's website. 3. 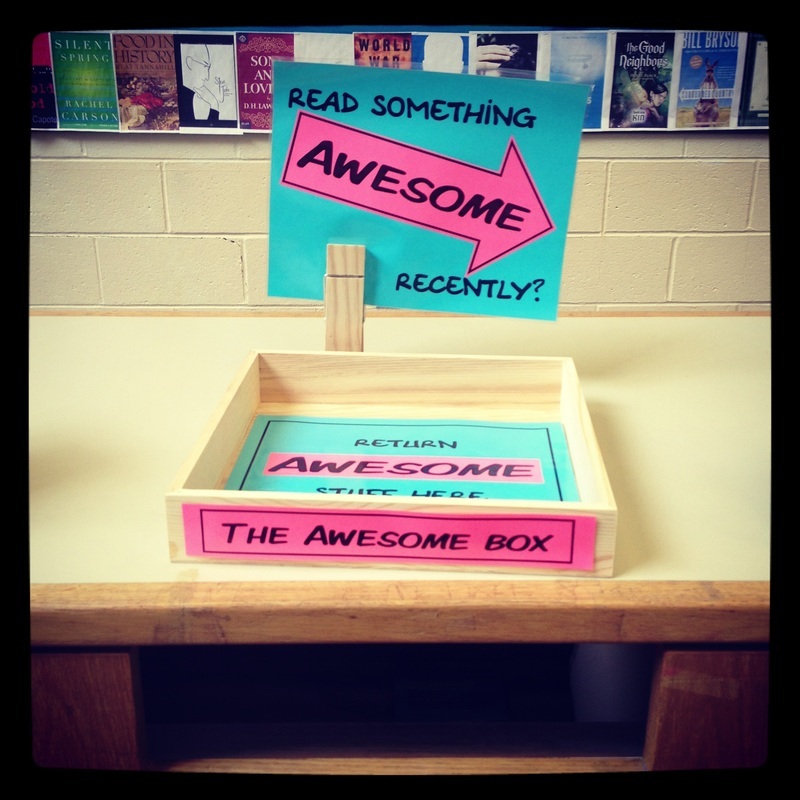 Then you make a box (any kind will do, from simple to fun) for people to return items that they think are awesome. 4. You check the items in (via the ISBN number) on your library account and then check it in normally. 5. Patrons can browse everyone's favorites and see what their fellow residents really enjoyed at your library. 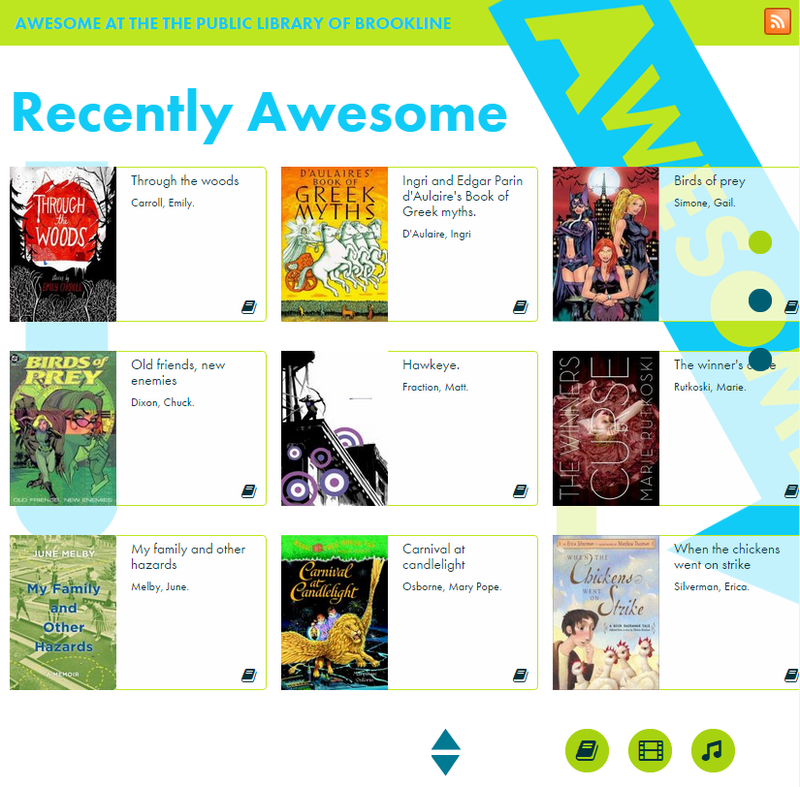 It is a living, breathing display of awesome items that your patrons recommend. Totally awesome indeed! The Harvard Library Innovation Lab is constantly coming up with new ideas and would love for people to try them out in their library and report back. If you are interested in participating, sign up for their bimonthly email newsletter, which also includes cool links to awesome things. An example of what patrons see when they visit your widget. 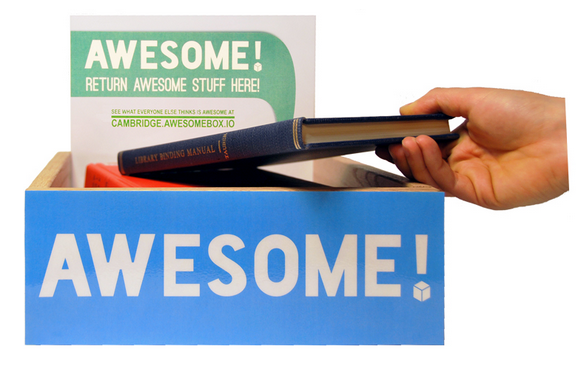 Update January 2016: Unfortunately, Awesome Box is no more. It was a great idea with over 500 libraries participating, this service will be missed!